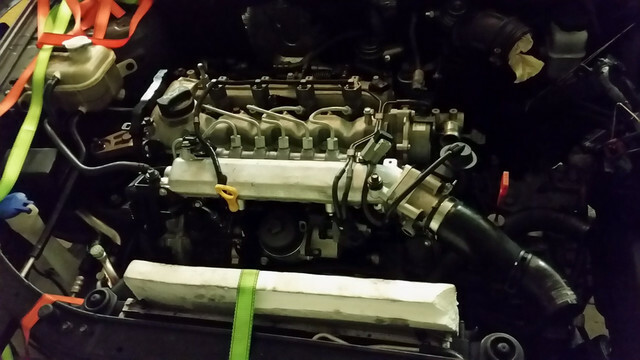 Help needed for engine swap tech help with method. 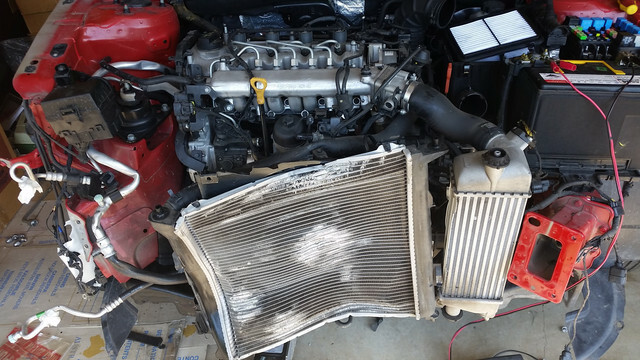 Hi everyone, I have just acquired a 2008 FD 2Lt with a blown engine and need to swap it out. Looking for technical advice regards the best method. I have a compatible second hand engine from a 2010 FD. 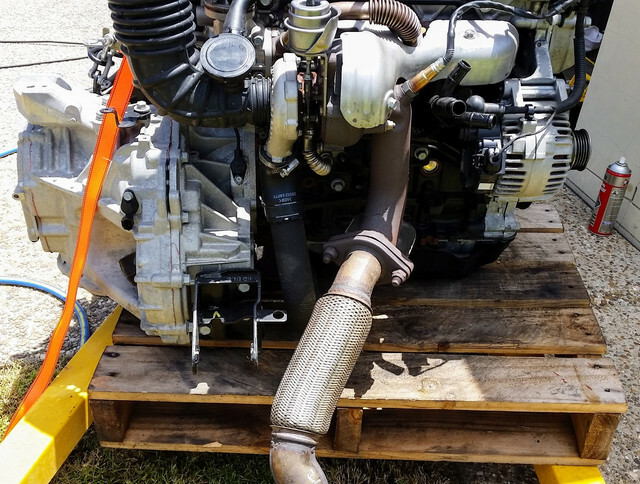 Please reply if you have had experience with the task outlined above (engine remove and replace) or you can point me in the direction of technical manual or an expert. Re: Help needed for engine swap tech help with method. Hang tight! There are some clever and experienced members on here. They will just need time to see and reply to your post. Do a bit of reading HERE and you will conclude that I have done a lot of work on these motors. There are $10 CDs on ebay that will give you a heads up on how the engine works and also down to dismantling. Irrespective of whether its auto or manual you can lift body off or more difficult , but practical, lift motor out through the top.. This depends on your work shop equipment. ,,,, and DIY ability. Therefore I need to know more about your circumstances. Whatever you attempt take photos of all aspects and stages. if your new motor was manual check for crankshaft end play. A small number ( rare) had failing crank thrust bearings, resulted in front oil seal popping out. No other dramas . Great motor. With body off method , you drop the sub frame with motor and box attached. Out the top is tight, but easier than it looks. Should be easier without a turbo hanging off the rear like the diesel. also think about anything that may be easy to replace whilst things are out, sway bar bushes for eg. Yes plenty as I have said. 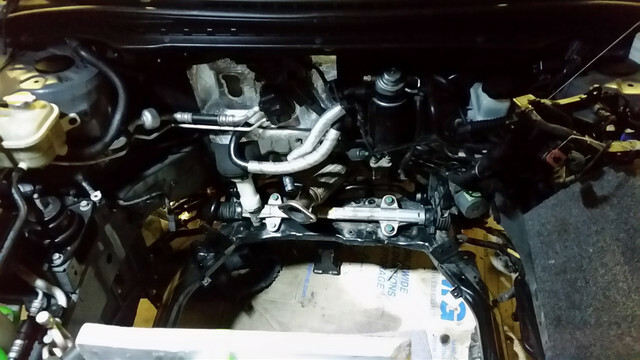 Go out below everything on subframe. Out through top, bonnet ,fan , rad, and top mounts ( complete) removed. If you feel its too tight remove the rad support frame.  well that’s the way I will tackle it. I will take photos along the way. bit of rethink. I have pulled a transmission out with engine left in situ. and usually pull up motors with manual box attached. All through top. you need an engine hoist that can be moved and has adaptable lifting rig so you can tilt as needed. see manual. Pulling body front off the car is easy. That gives you more clearance and ability to swing forward without a high lift. Assembling motor to gear box & examining thrust bearing etc is a bit easier on the ground, rather than in the car. The drive shafts come out quite easily if that worries you. When I did the CRDi, pretty much as you said, engine crane with chains set to have the powertrain slanted with teh trans hanging low, lift straight out, bonnet removed. would have taken the rad support out and gone that way except for the condensor and a/c piping. compressor was detached from engine block and left hanging below. 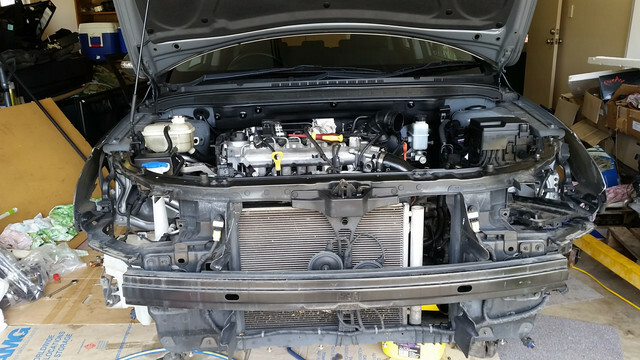 Thought an attempt to save a/c gas would just complicate it for you. But as tw has said you can unbolt the compressor and tie it to one side.